NHS free at point of delivery? This is appalling. 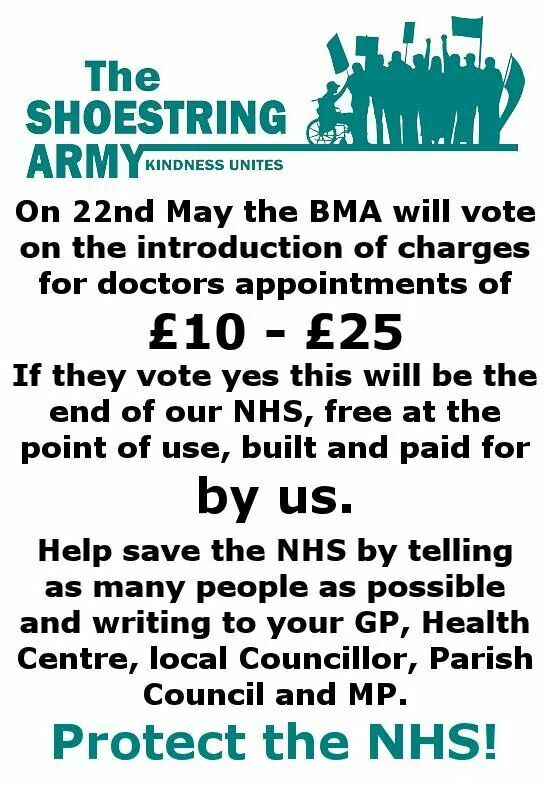 As a community psychiatric nurse I know people who can’t afford enough food because of this despicable government’s policies, let alone afford to pay to see their family doctor. 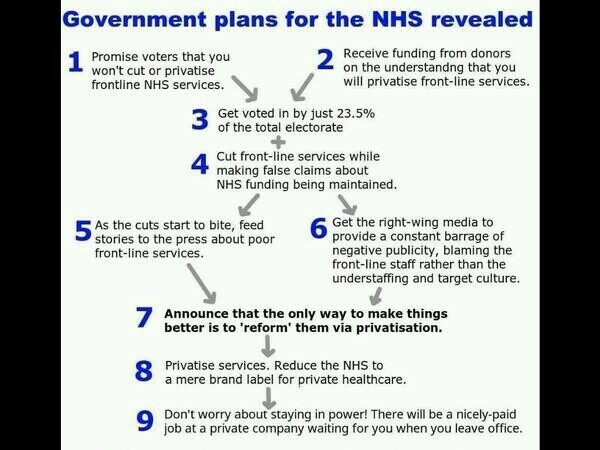 The NHS is part of a social contract between the state and the people, paid for by National Insurance and free at the point of delivery. Many of us have warned for years that the vicious ConDems are dismantling it and this proposal to charge ill people for GP appointments is clear evidence of that. Successive cuts in healthcare and siphoning of funds to private investors created the climate where this debate, this vote is possible at all. 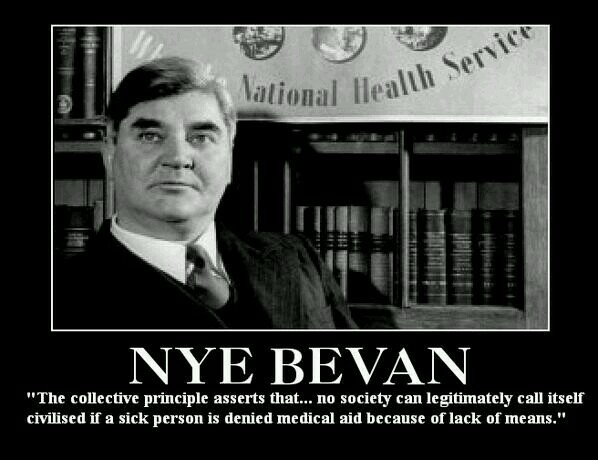 I know the argument is that we can’t afford the NHS but please remember how poor this nation was when the NHS began in 1948. We had just come out of world war 2. Rationing was still in place to ensure people had (barely) enough to eat. This country was broke but we still provided access to healthcare for those who needed it. We did it then because we believed in fairness and social justice. Now…… 30 years of neoliberalism and the current coalition of cynical, nest-feathering profiteers in government have turned those values on their head. We’re becoming like America where people with means can lose everything paying for services and those without means just die unaided. How much more can this country take?